My name is Connie Downs and I have been a licensed Realtor in the state of Idaho since 2004. Being a native of Idaho, I know the joys of living and playing in such a wonderful state. I have raised my own family here and together we enjoy all the beauty Idaho has to offer. From camping, hiking and snowmobiling in the mountains, going to museums, parks and farmers markets in town, to just sitting on the deck and watching the most beautiful sunsets…Idaho is truly an amazing place to call home. 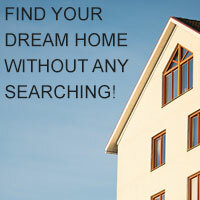 So, if you are thinking of purchasing a home here in Idaho, I can help! I will walk with you through every step of the process and together we will find the perfect place to call home. I am experienced with assisting new buyers and can help you determine what is you’re looking for and I have the resources to make the transaction a smooth one. The same is true if you are ready to put your home on the market. I will get all of the information I need to properly market your home on our multiple listing service, advertise on several websites and do all I can to bring you the best buyer at the best price. Remember, I am your agent and am willing to do what it takes to meet all of your Real Estate needs. Relocating here to Boise or one of the surrounding communities of Eagle Meridian Nampa Kuna Emmett or Caldwell ? Fill out this simple form so that we can make your move easier! With all the volatility over the past five years it is extremely difficult to know what to do in today’s real estate market. When it comes to selling your property, I understand this market. I live here in the area so whether you’re just curious, or planning to move up or planning to downsize I would love the opportunity to help you determine what your home is really worth in today.